Luisa Maita is one of the brightest stars in a constellation that has appeared over the skies of Brasil recently. 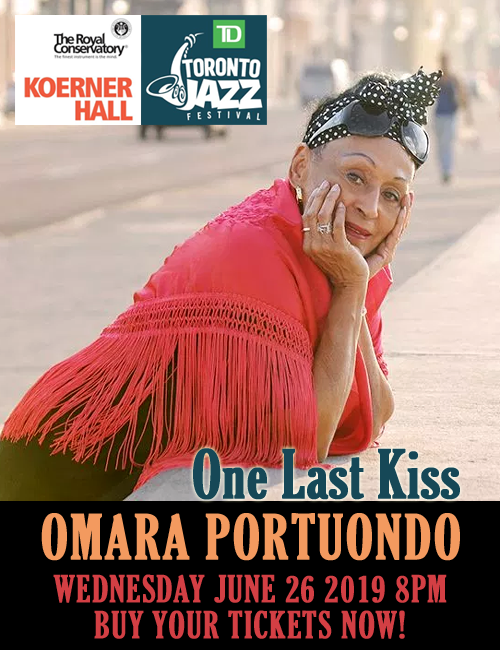 She might be said to have emerged from the same path cleared by Os Mutantes, Caetano Veloso, Gilberto Gil and the pioneers of MPB, followed and then the generation that bore Djavan and later Artur Menezes. 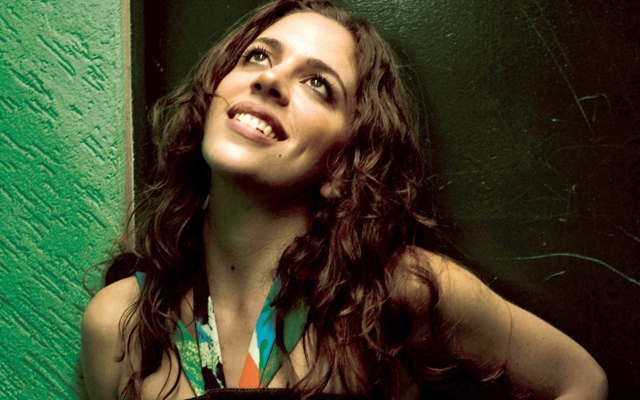 What Maita owes to her illustrious musical ancestors is always present in a homage that flavours a mistura fina of romance melted in to the heat of her Carioca experience, all of which is reflected in her lustrous voice and in the concrete imagery of lyrics. 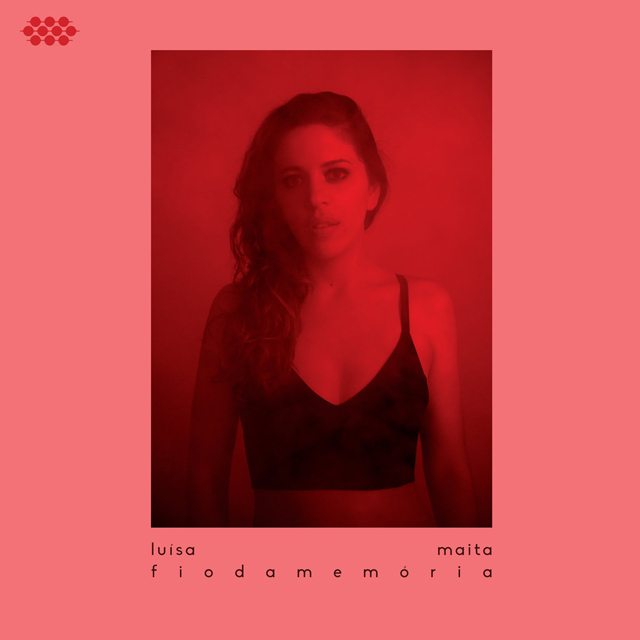 On Fio Da Memória, her second album for Cumbancha, Luisa Maita makes her strongest case yet for recognition beyond the borders of Rio and of Brasil as well. The bold, eloquent performances of mostly original material, recorded in immaculately audiophile-like sound make this claim in a most forceful manner as Maita makes her bold and expressive way through these eleven works. Of her own music, it must be said that she writes in an essentially Brasilian style with tonal and rhythmic roots, but also with a few excursions into piquant harmonic territory. The keyboard in all its electronic forms is strongly present here and yet the influence of traditional Brasilian music can be heard through it all, which always bodes well for Maita’s strong sense of originality. These may be short songs – and granted that Luisa Maita’s magnum opus may be some distance away – yet there are already intimations of the uniqueness of her craft. ‘Olé’ is a ravishing fantasy. It has all the infectious glee in laying notes on paper that many composers only dream of, let alone bring them to fruition with the professionalism of maturity as Maita does here. Of course, ‘Fio Da Memória’ is the indispensible item on this CD. It is a beautiful, concentrated dose of intoxicated musical reality, complete with just that wisp of Brasilian romance to make it wholly unforgettable. At the end of this rather short album of songs, some listeners may be wondering how much of the ‘Brasilian music’ they know is really here. But make no mistake Luisa Maita is not going to tread the beaten path; rather she worships at the altar of originality and captures all the rapt beauty of Carioca rhythms in music that is fresh, temperamentally wild and yet pays rapturous tribute to a tradition in which Maita’s lush, sonically balanced and rhythmically propulsive musicianship is beginning to leave a lasting impression. Track List: Na Asa; Around You; Olé; Porão; Fio Da Memória; Musica Popular; Ela; Volta; Sutil; Folia; Jump. Personnel: Luisa Maita: voice; Tejo Damasceno: programming, sampling; Érico Theobaldo: drums; Magno Vito: bass; Rafa Barreto: guitar; Luiz Cavalcanti: guitar, mouth percussion; Zé Nigro: bass, bass synth, percussion, guitars, programming, synthesizer, cowbell; Samuel Fraga: drums; Douglas Alonso: atabaque, agogô, percussion; Fernando Catatau: guitar; Marcelo Maita: Fender Rhodes; Zé Godoy: bass; Jam da Silva: drums; Rodrigo Campos: guitars; Freddy Prince: percussion.